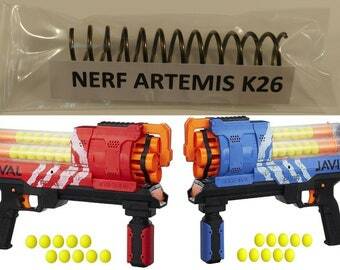 Your Home for Nerf K26 Spring Mods and Upgrades! Announcement * Now Shipping White Modded Kronos Internationally!!! !!! We are now a PROUD Sponsor of The One and Only: FOAMCAST RADIO PODCAST!!! Listen Weekly for a Chance to Win Prizes from us Here @ SMENTERPRISES! Congratulations to Mickael Lacek for winning a Free Fully Modded Kronos Blaster through us here at SMENTERPRISES and FOAMCAST RADIO!!! 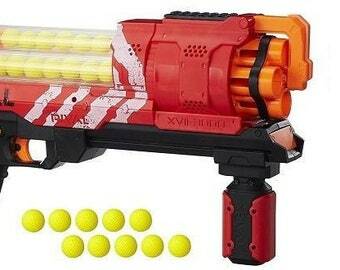 * Now Selling Fully Modded Hypnos Rival Blasters! 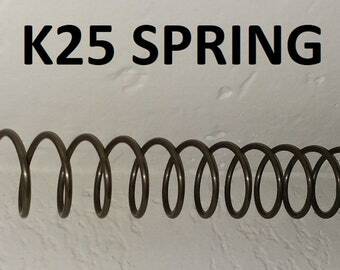 * Hypnos K26 Spring Just Added! * New Accustrike Darts & Ammo Available! * Now offering Single Shot Sniper Sledgefires and parts! * NOW AVAILABLE!!! Optional 6 Shot Mod With The Super Kronos Blaster!!! * Now Shipping White Modded Kronos Internationally!!! 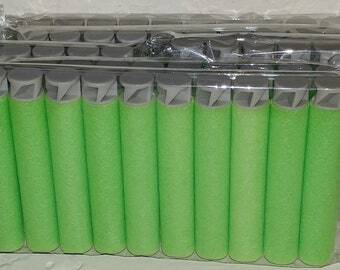 K26 Spring - K 26 For Nerf Projects & Modding - 11"
Green & Gray Accustrike Style Nerf Compatible Darts! New In Packaging! 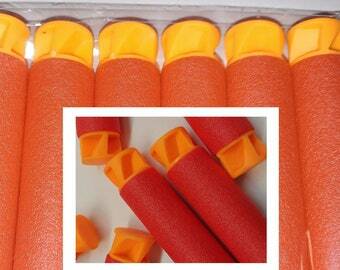 Red & Orange Accustrike Style Nerf Compatible Darts! New In Packaging! 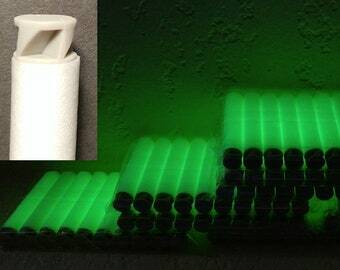 Glow in the Dark Accustrike Style Nerf Compatible Darts! New In Packaging! These springs are great! My 7 year old has no trouble priming his nerf gun now. My 5 year old can prime her nerf gun too now, not as well as my 7 year old, but at least she can do it now. The reduced power makes it great for indoor play too. Highly recommend! Quick service. The blaster shoots like a dream. Sam is a pleasure to do business with and I will certainly purchase from him again.